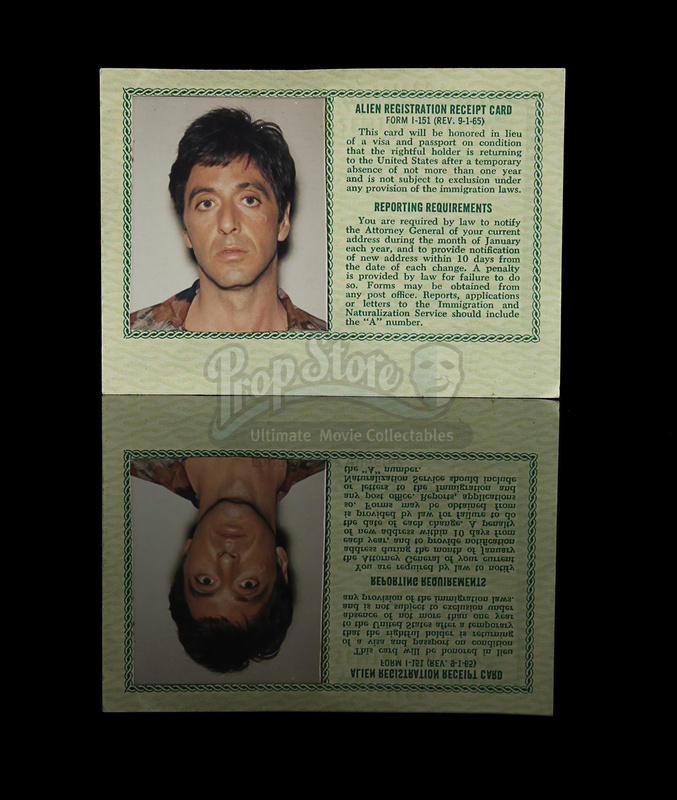 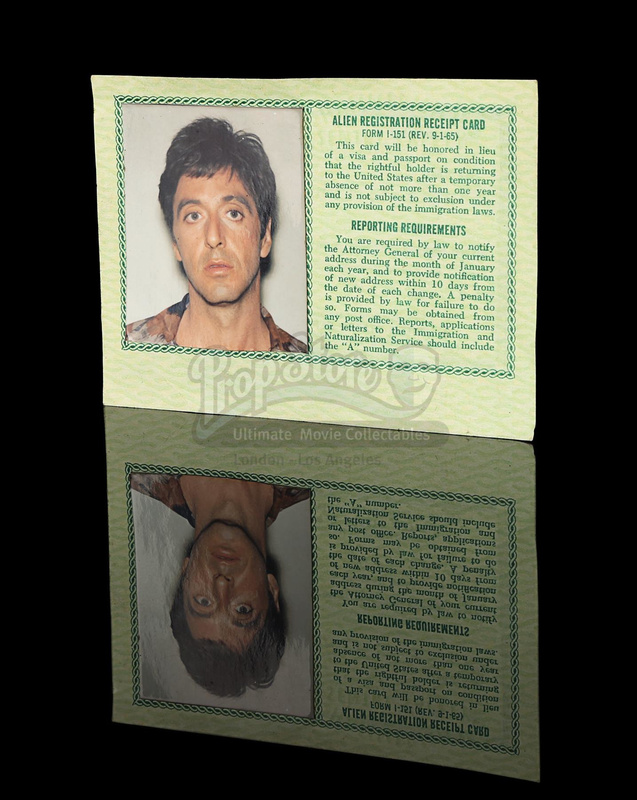 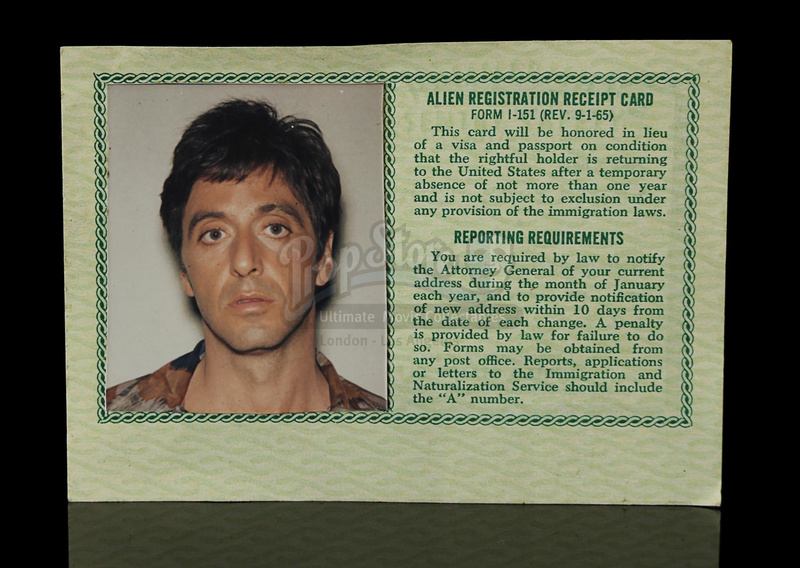 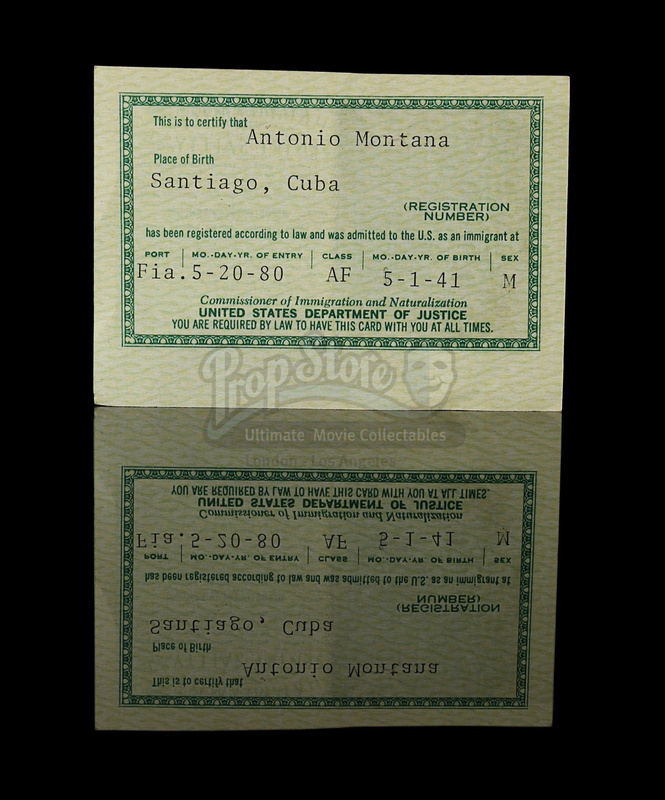 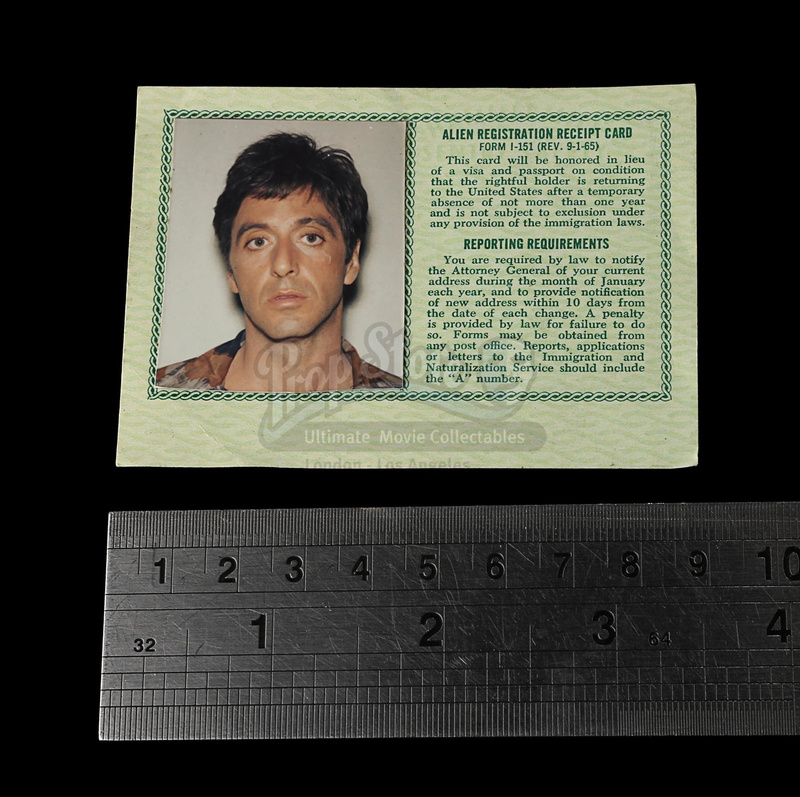 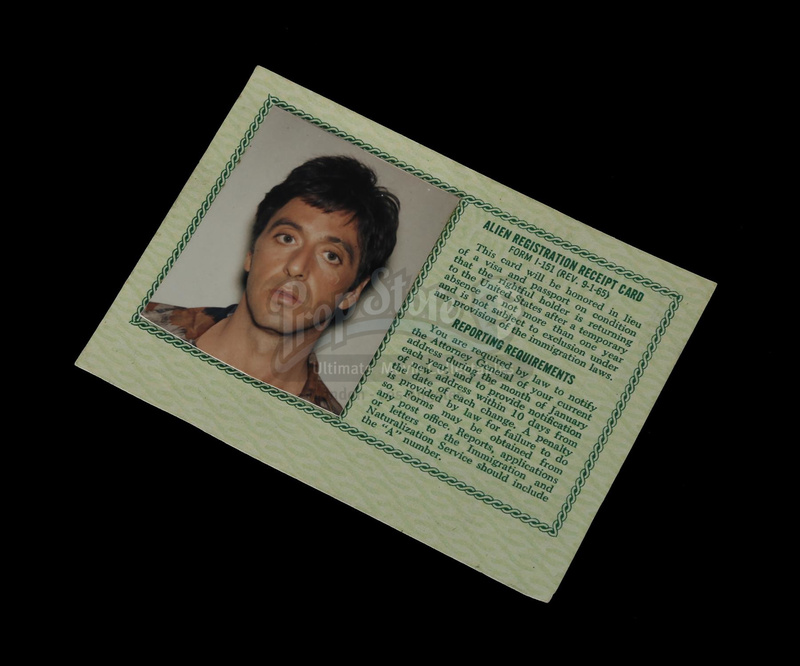 Tony Montana's (Al Pacino) green card from Brian De Palma's crime film Scarface. 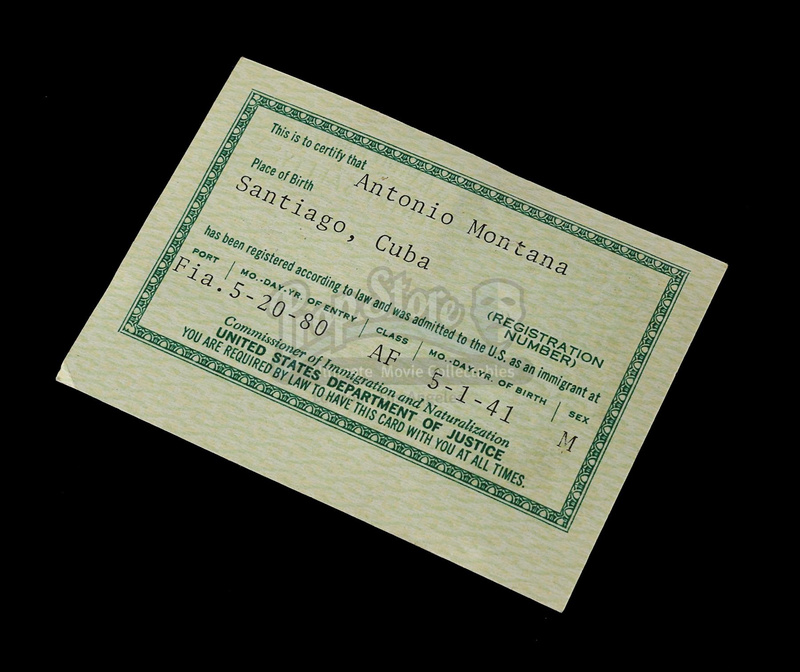 Montana received his green card after assassinating a former Cuban government official in exchange for release from a refugee camp in Miami. 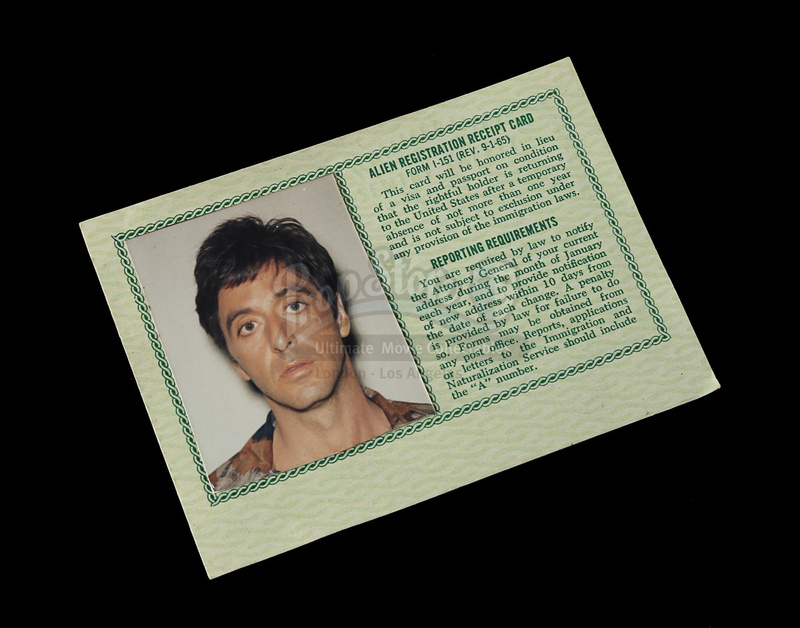 The green card screen matches to the scene in which Montana received his card shortly before leaving the camp.